Reaching out to help those in need is the primary call for a follower of Jesus. Outreach is a major focus for St. Andrew’s. Over the past several years our congregation has seen needs in our local community, across our nation, and in the world. The primary and longest running outreach effort of our parish is our Thrifts Shop, which helps people by selling clothing and household items at a very low cost, and by giving away all proceeds to local ministries. 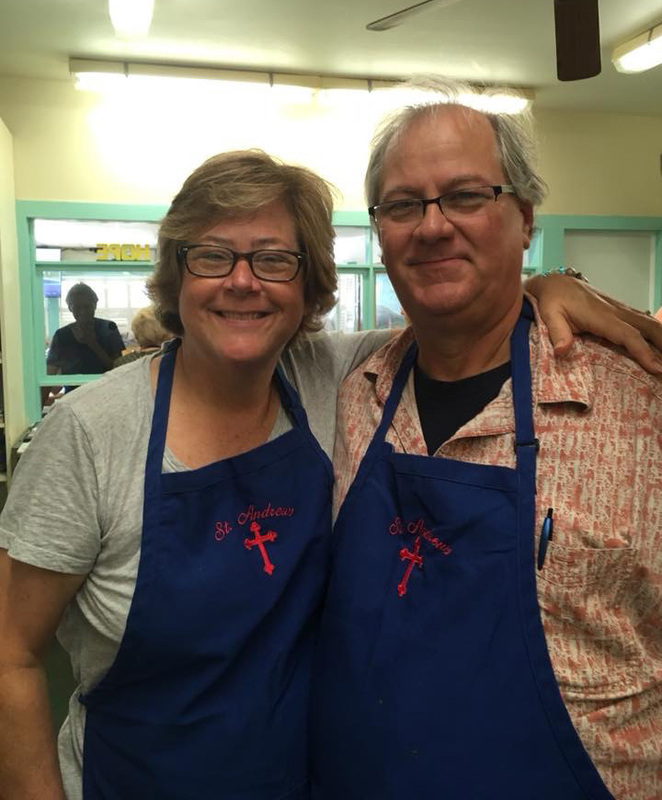 Other outreach of the parish includes serving a quarterly meal at the local “soup kitchen” called Hope Mission, the food pantry called Martha’s Mission, a women homeless shelter known as “Family Promise,” and Broad Street Medical Clinic. 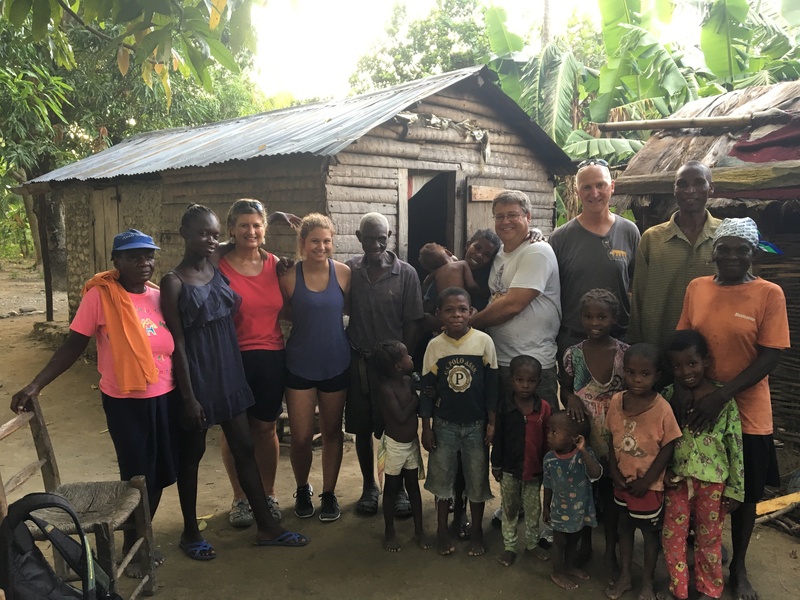 We have also sent teams on mission trips to Haiti over the past several years. Many of our members volunteer in countless types of outreach, both formally and informally. There are quiet servants who help those in need; they see a need and step forward to help without fanfare or recognition. As you read the descriptions of our Outreach Opportunities, if you see an area in which you would like to serve, please get involved. There is always a place for people to offer their help in the Name of Jesus. The Broad Street Clinic was founded in 1993 by county physicians and other concerned citizens as a private non-profit, free health clinic serving the adult residents of Carteret County and surrounding areas. Its mission is to provide access to medical care for the uninsured low income population in our community. The Clinic is a qualified, non-profit organization and is not supported by Federal or State programs. The clinic operates solely on grants and private and public donations. Donations stay in our community to assist those who render the clinic’s many services. Family Promise is a nonprofit organization committed to helping low-income families achieve lasting independence. Its strategy is to focus our efforts on five programs that work together in a holistic, integrated approach. Because the five programs support one another, each of them is far more effective than it could be alone. Martha’s Mission Cupboard is an emergency food pantry, solely ran by volunteers, established to provide the needy citizens of Carteret County a temporary supply of nutritious and balanced food at no cost. Its goal is to tide them over during a temporary financial crisis or while they are awaiting permanent assistance from the State or Federal Government. Martha’s Mission provides food to an average of 300 and 350 families every month. Families in need of food are screened and referred by State or Federal social service agencies in Carteret County. The amount of food given to each family depends on the number of people in the family. St. Andrew’s prepares a quarterly meal for the Hope Mission. Hope Mission is a ministry in our community that offers a free weekday meal to all who want to come eat, they host a men’s shelter, have a recovery program, and provide emergency assistance to those in need. Once a quarter, St. Andrew’s comes together to host a weekend meal. We welcome ALL levels of involvement—no amount is too large or too small. We need those who can write checks for donations of food, we need those who are able to cook, or provide food and paper products, we need those who want to serve, as well as those who can provide hospitality—just as a note, you must be 12 years old to help in the kitchen. We typically serve the 4th Sunday in March, June, September and December. Each year, our parish is given the names of fifteen to seventeen needy local families screened by DSS. Each family has children under the age of ten, and we are provided with clothing sizes and suggestions for gifts. Generous parishioners give gifts for the children and/or cash for the adults. This tree is now organized in memory of Jane Layno. Our parish coordinator is Jane Lee. 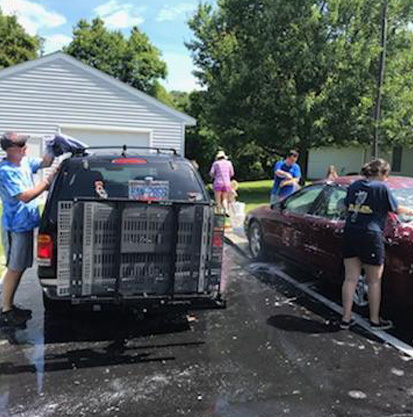 Faith In-Deed is a whole church “volunteer day.” It involves helping those within our church but is also an opportunity for our church family, and the families and individuals that comprise it, to reach out into the larger community we live in. To share Christ’s love through action for those who need help or support, to interact with people who are different from ourselves, to be challenged to get out of our comfort zones and allow real learning and growing to take place. We as individuals and as a church may have more to gain from this than those we go out to help. If we really want to be with Christ, we will find Him outside our doors, in the faces of those who don’t look or sound like ourselves. 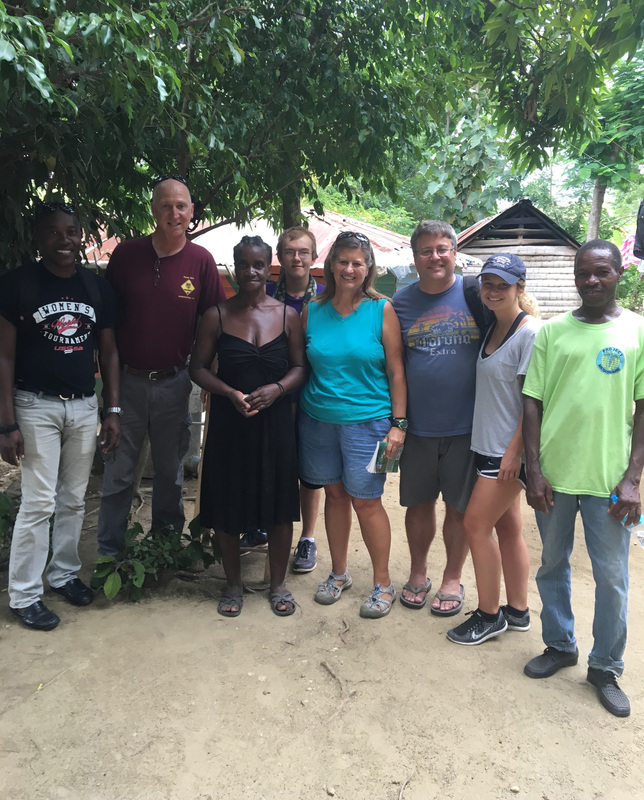 St. Andrew’s Episcopal Church has been sending mission teams to Haiti for the past several years. Our companion parish is Sint Jean Baptis (St. John the Baptist) in the village of Kay Epin. For the past several years our mission has been to help organize and run a summer Music and Arts Camp. Each camp offers Haitian children the opportunity participate in crafts such as hat making, wood work, paper mâché, beads and bracelets. Arts include dance, painting and drawing. Children may also participate in music from basic to advance. Instruments include recorder, trumpet, trombone, saxophone, and clarinet. Over the years the Music and Arts camp grew from 200 children to over 500 in 2017. A major part of the mission trip is raising the funds to feed the camp participants and volunteers. Malnutrition is a major problem in Haiti. The area in which we serve, the Central Plateau, is one of the poorest areas of the country. The Music and Arts Camp is run in collaboration with Summits Education in Haiti (www.summits.org). Volunteers must raise the money to pay their own way on the trip. Fundraising events sponsored by the church also help towards this. 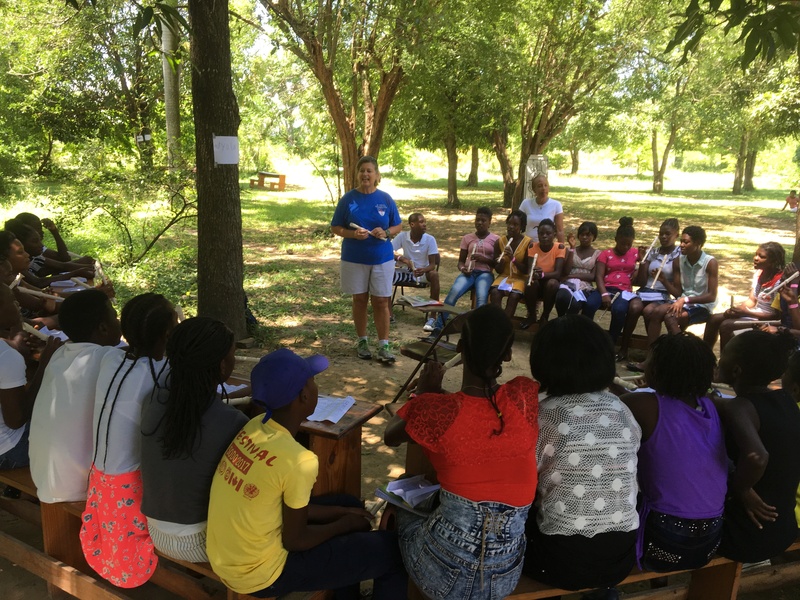 We believe that our Haiti Mission Trip is a parish wide outreach. Everyone has the opportunity to participate either by going on the trip, or by supporting those who go to Haiti. Some give by going… Others go by giving. God teaches us that we are called to respond for the dignity and justice for all human beings and Episcopal Farmworker Ministry (EFwM) is working with such principles to ensure a better future for farmworkers and their families. Through education, the protection of their human rights, and the care of their bodies and souls, EFwM works to change the world and the system that keeps farmworkers in poverty and subhuman conditions. EFwM serves 47 migrant labor camps in Sampson, Harnett and Johnston counties in North Carolina.